Overhead view of the completed Morral Companies building shows the pie-shaped, tight building site. Restrictions included an existing building and tank farm to the south, CSX main line to the east, CSX easement to the north, and city street with overhead power lines to the west. The existing production facility, built in 1980, was showing its age. Morral Companies had outgrown the building, and routine maintenance had become difficult, with tight spaces and multiple hoses and piping at floor level. Morral needed a larger, more efficient building with all functions under one roof, including truck receiving, dry bulk storage, liquid storage, blending operations, dry bulk truck load-out, van receiving/loading, and pallet storage. Marcus Construction designed a state-of-the-art production facility that will allow Morral to provide more products in a much more efficient manner. One of the most challenging aspects was fitting the building in the desired location. It is a pie-shaped area with existing buildings and a tank farm to the south, CSX main line to the east, CSX easement to the north, and a city street with overhead power lines to the west. The design called for an irregular-shaped building, and Marcus’ Pre-Construction Team did an outstanding job maxing out the available square footage. 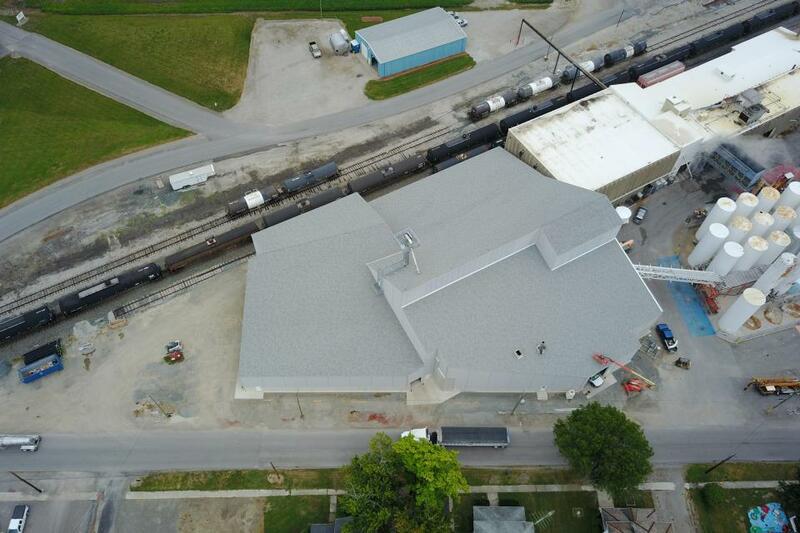 Another challenge, because it was on a main rail line, was that the rail receiving pit needed to be installed in one day — this was successfully completed with an engineered precast unit.